Great East Side 3 family. Close to Robinson Street and bus line. 3, 1 Bed units. Fully rented at the time of listing. Priced to sell with a 19% CAP Rate. Binghamton High School Pre-School, High School / Public 3 1.66 mi. Calvin Coolidge School Pre-School, Elementary School / Public 4 0.52 mi. East Middle School Middle School / Public 2 0.35 mi. Benjamin Franklin Elementary School * Pre-School, Elementary School / Public 1 0.99 mi. St John The Evangelist School * Pre-School, Elementary School / Private N/A 1.54 mi. Theodore Roosevelt School * Pre-School, Elementary School / Public 1 0.79 mi. 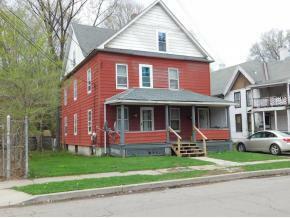 55 Ely Street, Binghamton, NY 13901 multi-family home was sold for $47,000.